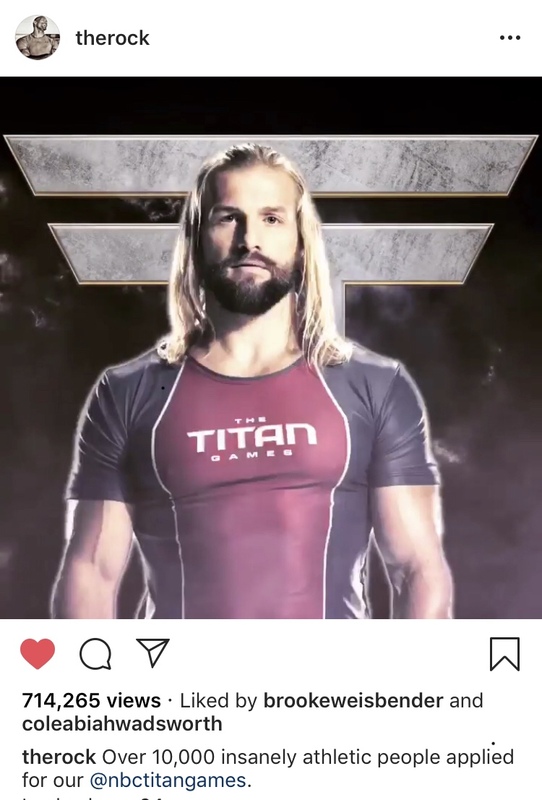 We are thrilled to announce that Cole has been chosen as one of only 32 men selected to compete on Dwayne “The Rock” Johnsons ultimate athletic competition, Titan Games show on NBC. To say that we are excited would be an extreme understatement, this is one the greatest opportunities for Cole to have been hand picked by The Rock himself out of over 10,000 submissions. As an extreme athlete and 2X American Ninja Warrior competitor, Cole is always searching for a new extreme challenge. The Titan Games is it! We truly believe “The Titan Games” was created for Cole to dominate and show what he has been working so hard towards as a functional athlete. It’s the ultimate platform for proving his brute strength, speed, agility and mental toughness to push harder than the average man. The hard work required for Cole to get on the show and compete was a relentless task that required an avalanche of sacrifice in order to get into the functional athletic shape needed to compete against some of the world’s TOP everyday elite athletes. Cole was and STILL IS functional training 3-4 times per day which includes: extreme high intensity interval training, trail running, sand hill sprinting, sprints at the track, Ninja training, weight training, balance, agility and most importantly mental toughness! If you’re tuning-in, make sure you CHEER loud and join #TeamColeTitanGames to show your support. We would LOVE to hear from Wadsworth Wellness fans as the show debuts and grows.